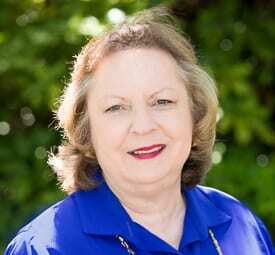 As normally happens, we missed someone in our Australia Day Honours List – Marcia Hatfield of Sydney received an OAM and has been added top the republished list. Mazel Tov and our apologies Marcia. For eminent service to the visual and performing arts as a leading benefactor and supporter, through philanthropic contributions to a range of social welfare, community health, educational and youth initiatives, and to business. Chairman, TarraWarra Museum of Art, since 2003. Member, National Council of Australian Opera, since 1984. Deputy Chair, Council of National Museums of Australia, 2000-2003. Member, Victorian State Opera Board, 1987-1993. Emeritus Trustee and Life Member, National Gallery of Victoria. Life Governor, Australian National Gallery Foundation, since 1991. Trustee, Australian National Gallery, 1981-1987. Chairman and Trustee, The Besen Family Foundation, established 1978. Financial supporter, Chair of Industrial Design, Monash University. Financial supporter, Ardoch Foundation, to support the Western LINCS project, 2006. 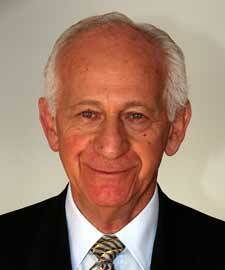 Founder and Supporter, Performing Arts Centre, Mount Scopus College, since 2003; Chancellor and Life Governor. Through Highpoint Property Group supports a range of Indigenous and youth welfare projects. Deputy Chairman, Castlemaine Festival, 1972-1995. Founding Chairman, Spoleto Festival (now Melbourne International Festival). 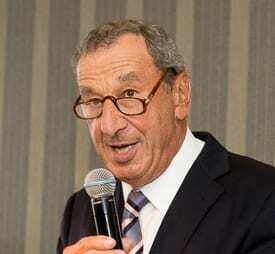 Executive Chairman, Highpoint Property Group, since 2004. Executive Chairman, Sussan Corporation Australia Ltd, 1980-2003. J-Wire spoke to a member of Marc Besen’s family who informed us that he was overseas and “not available for comment”. For distinguished service to the judiciary and to the law, particularly reforms to commercial dispute resolution and case management, through contributions to international commercial arbitration, and to the community. Deputy Chairman, International Legal Services Advisory Council Commonwealth Attorney-General’s Department, 2005-2013. Chief Judge, Commercial Division, Supreme Court of New South Wales, 1987-1993; Judge, 1979-1993. Member, Education Committee, Judicial Commission of New South Wales, 1987-1989. Commissioner, New South Wales Law Reform Commission, 1981-1989. Patron, New South Wales Division, Australian Corporate Lawyers Association, since 1985. Member, Consultative Committee that established, Australian Commercial Disputes Centre, 1985-1986. Arbitrator and Mediator, International Chamber of Commerce; Singapore International Arbitration Centre. Member, Panel of Conciliators, International Centre for Settlement of Investment Disputes, since 1995. Member, Australian Delegation, United Nations Committee on International Trade Law (UNCITRAL), 1985. Fellow, Australian Institute of Arbitrators, since 1985. Fellow, Chartered Institute of Arbitrators, since 1985. Chancellor, Southern Cross University, 1994-1998. President, Securities Research Foundation (now SIRCA Ltd), University of Sydney, 1994. Visiting Professor, Faculty of Law, University of Technology Sydney, 1990. Corporate and Legal Adviser, Endispute Pty Ltd, since 1993. Chairman, Audit Quality Review Board Ltd, 2005. Probity Advisor, Leighton Holdings, 2000-2010. Board Member, New South Wales Treasury Corporation, 1995-2009; Member Audit and Risk Committee, 1999-2009. Director, Garvan Institute of Medical Research. Patron, Tedd Noffs Foundation, since 1990s. Andrew Rogers is proud of a case lost by the son of Auschwitz survivors…only because he was instrumental in getting the law changed in order that no else should fall victim to the frailty of the existing law. He told J-Wire: “A Polish couple immigrated to Australia and set up a knitting factory in Sydney. Their factory experienced several accidental fires which I understand could be easily started by the machinery involved. Their son moved to Melbourne following the death of his father and bought a knitting factory. On its first day of operation the factory was firebombed by someone who did not know there had been a change of ownership. The man claimed his insurance but the the insurance company refused to pay and won their case in court as there had been no disclosure of the previous fires. The family was ruined. I was instrumental in having the law changed so that each claim would be dealt with individually.” He said he was very proud to have been awarded an AO. For distinguished service to medicine and medical research, as a leading urologist, a robotic surgery pioneer, a teacher and mentor, and as an advocate for prostate cancer awareness. Chairman, Department of Urology, St Vincent’s Private Hospital and Clinic, since 2003; First robotic surgery in New South Wales, 2006; Manager, Robotic Fellowship Training Program and Research Fellowship, current; Initiated first cancer support group in Australia, 1996; Founder, Australian Centre for Sexual Health, 1992; Visiting Medical Officer, 1989. Major driver of brachytherapy in Australia. Director, St Vincent’s Prostate Cancer Centre, since 2004. Inaugural Director, Prostate Cancer Foundation Australia, 1998 – 2012; Involved in establishing first tissue bank and database for Prostate cancer research, 1994. 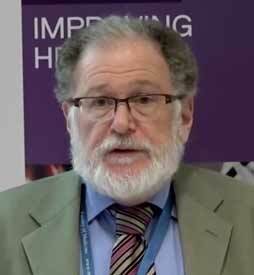 Director, Australian Prostate Cancer Collaboration, 1999-2010. Involved in establishing, Association of Prostate Cancer Support Groups. Assisted with the development of diploma course in urology, Nurses Urology Society- New South Wales Section. Associate Editor, Journal of Robotic Surgery, until 2012. Clinical Associate Professor, Sydney Medical School, University of Sydney, since 2013. Conjoint Associate Professor, Discipline of Surgery, University of New South Wales, since 2004. Director, Australian Prostate Cancer Research Centre, New South Wales at the Kinghorn Cancer Centre, since 2013 and Clinical Director of Prostate Cancer Research at the Kinghorn Cancer Centre. Clinical Head, Uro-Oncology Research Unit, Garvan Institute of New South Wales, since 1992. Clinical Professor, School of Health Science, University of Tasmania. For significant service to the performing arts, particularly ballet, as a dancer and role model. Principal, The Royal Ballet, London, 1993-2013; First Soloist, 1992-1993. A range of major roles including: Odette/Odile in ‘Swan Lake’; Sugar Plum Fairy in ‘The Nutcracker’; Aurora in ‘Sleeping Beauty’; Juliet in ‘Romeo and Juliet’; and Greta in “Metamorphosis’. Created leading roles including in : Wayne McGregor’s ‘Qualia’, 2003 (World Premiere) and ‘Infra’, 2008 (World Premiere). Twyla Tharp’s ‘Mr Worldly Wise’; Christopher Wheeldon’s ‘DGV (Danse a grande vitesse)’, 2006 (World Premiere); Kim Brandstrup’s ‘Invitus Invitam’ (2010). Guest appearances including with: The Australian Ballet; Morphoses; Dresden Ballet; and English National Ballet. Principal, Deutsche Opera Ballet Berlin, 1990-1992. Principal, London Festival Ballet, London, 1988-1990. Principal, Sadlers Wells Royal Ballet, London, 1987-1988; Soloist, 1985-1987; Member, 1983-1985. Pupil, The Royal Ballet Upper School, London, 1980-1982. Leanne Benjamin is married to theatrical producer Tobias Round. For significant service to medicine, particularly neurology, as a clinician, author and administrator, and to professional medical legal organisations. Secretary-General, World Association for Medical Law; Australian Governor; Editorial Board Member, Medicine and Law Journal; Vice-President, 2004. Council Member, Australasian College of Legal Medicine, current; President, 2001-2011; Vice-President, 2012-2013; Editorial Board Member, Journal of Law and Medicine; Fellow. Past Board Member, Australian and New Zealand Institute of Health Law and Ethics; Member, current. Professor, School of Medicine, Griffith University, since 2005. Conjoint Associate Professor, Department of Medicine, South Western Sydney Clinical School of Medicine, Faculty of Medicine, University of New South Wales, since 2002. Visiting Professor, International Research Institute of Health Law Sciences, Southern Medical University, Guangzhou, China, 2010. Senior Visiting Neurologist, Liverpool Hospital, Sydney South West Area Health Service, New South Wales Health; Neurologist, since 1982. Visiting Medical Officer – Neurology, Royal Rehabilitation Centre. Visiting Medical Officer – Neurology, Braeside Rehabilitation Hospital, since 1996. Consultant Neurologist, Royal Australian Navy Reserve, since 1982; Commander, since 2009. Consultant Neurologist, Royal Australian Navy, since 1982. Consultant Neurologist and Director, Strategic Health Evaluators. Consultant Neurologist, Civil Aviation Safety Authority; Designated Aviation Medical Examiner. Clinical Standards Committee Member, Australasian Sleep Association, since 2008; Member, since 2002. Past Commissioner, International League Against Epilepsy. Fellow, Epilepsy Society of Australia; Past Treasurer. Fellow, Australasian Faculty of Public Health Medicine. Fellow, Royal Australian College of General Practitioners. Fellow, Royal College of Physicians (Edinburgh). Roy Beran told J-Wire: “The recognition of my contribution, with the awarding of the AM, reflects not only my work but also the work and effort of so many of my colleagues, friend and the team with whom I work. I am very proud to be awarded such recognition and it is gratifying to think that others have appreciated what one has done but I know that I could not have done it alone. I am cognizant of the fact that, as soon as one thanks specific people who are easily remembered, because of the role they played in the course of one’s career, it is inevitable that one will miss out on naming at least one of those most important people and thus the only person that I publically would wish to thank, for the support and strength provided over many years, is my beautiful wife, Maureen, who has been my rock, harshest critic and best friend, for more than 40 years. I am very pleased to be able represent my colleagues, both in neurology and in legal medicine, both of which have come a long way in a relatively short time, yet I appreciate that I am but a small fish in a much larger bowl and am very grateful to have been awarded this Australian award in the Australia Day list which is a highlight for me, as a proud Australian. He added a bit of publicity for another family member: “A documentary, will go to air on 27th Jan, re Esther Abrahams who was a Jewish convict in the first fleet who ultimately became the first lady for NSW, airing on the ABC radio, Radio National (576 AM radio) at 11:00 and at 13:00 on 1st February, prepared by my daughter, Ruth Beran. You’d never pick me as a proud dad!!! For significant service to the building and construction industry, to the community of Western Sydney, and to charitable organisations. Director, TGB Holdings Pty Ltd – Building and Construction/Investment Management, since 1968. Director, Valiant Timber and Hardware Co Pty Ltd, since 1961. 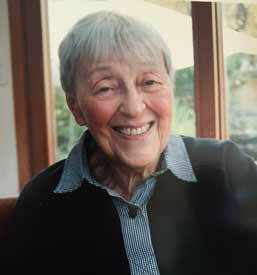 Foundation Director, Eva Breuer Gallery, since 1994. Foundation Member, Moriah College Sydney. Life Governor, Montefiore Retirement Village. Life Governor, Art Gallery of New South Wales. Benefactor to a range of local charities and public institutions, ‘many years’. Tom Breuer told J-Wire he was both “humbled, honour and thrilled” to receive this award. For significant service to the community through philanthropic support for educational initiatives and programs for underprivileged children. Co-Founder, The Colman Foundation, 2005. Provided funding for education costs for underprivileged children, since 2006. Contributed initial and ongoing funding towards the construction and ongoing costs of Doveton College, Melbourne, which opened in 2012; Member, School Board, current. Supporter, International Specialised Skills Institute, current. Former Managing Director and Chief Executive Officer, MCS Property, 1993-2003, (retired); Established in 1975. Partner, McGrath Colman Stewart Lawyers. For significant service to youth, medical research, educational, historical and cultural organisations, and to the people of Australia through vice-regal patronages and support roles. Ambassador and Supporter, The Ardoch Youth Foundation, since 2000. The Foundation is a children’s charity providing education support for disadvantaged children and young people. Ambassador, Sir Zelman Cowen Fellowship Fund, current. The Fund provides support for young Australian researchers addressing key health issues facing poor and vulnerable communities in Australia and internationally. Patron, Australian Jewish Historical Society, Victoria, since approx 2011. 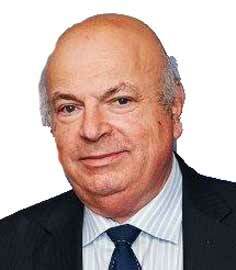 Co-Patron, Lubofsky Society and supporter of the Australian Jewish Museum, Melbourne, current. 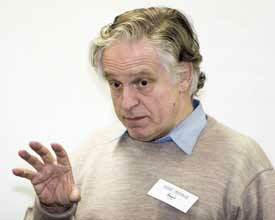 Committee Member, Building Fund, The Sir Zelman Cowen School of Music, Monash University, current. Patron, 23 national organisations, 1977-1982. For significant service to medicine, particularly in the areas of public health and medical education, and to policy development and reform. Chair, Sydney Medical Program, Sydney Medical School, since 2010; Associate Dean (Learning and Teaching), 2010-2011; Associate Dean (Curriculum), 2007-2010. Adjunct Professor, Sydney School of Public Health and Sydney Medical School, since 2003; Director, Sydney Health Projects Group, 2002-2010. Deputy Director, Effective Healthcare Australia, 1998-2002; Adjunct Associate Professor,1999-2003; Sub-Dean (Research), 1999-2003; Acting Director/Academic Coordinator, Australian Health Policy Institute, 1999-2003. Senior Lecturer, Occupational Health and Safety, Faculty of Medicine, 1988-1990; Lecturer, Occupational Health and Safety, 1984-1987. Senior Medical Specialist, Sydney South West Area Health Service, 1998-2007; Chair, Human Research Ethics Committee (Western Zone), 2007-2008. Chief Executive Officer (Secondment), Cancer Council New South Wales, 1997. Director, Centre for Research and Development/ Deputy Chief Health Officer, New South Wales Department of Health, 1994-1998; Medical Epidemiologist and Deputy Director, Epidemiology and Health Services Evaluation Branch, 1990-1994. Head, Epidemiology and Surveillance Unit, National Institute of Occupational Health and Safety, Worksafe Australia, 1988-1990. Epidemiologist, National Occupational Health and Safety Commission, 1984-1988. Director, Blood Pressure Study, Occupational Health Section, Commonwealth Institute of Health/School of Public Health and Tropical Medicine, 1981-1984. Since 1998 Dr Frommer has undertaken major projects and consultancies in six areas across the fields of public health medicine and health policy including: Prevention of morbidity and mortality in Australia; Policy, governance and funding for health and medical research; Compilation and analysis of health data at the population level; Organisation, delivery and quality of health services; Vocational education and training and medical education; Preparation of successful proposals for funding of educational infrastructure development and commissioned research. Dr Frommer has published articles in peer-reviewed journals, major reports and chapters in books on: Cardiovascular disease; injury epidemiology; reproductive health; cancer services; methods in evidence-based medicine; medical education. Chair, Venous Thrombo-Embolism Guidelines Committee, National Health and Medical Reserach Council, 2008-2010; Chair, Guideline Development Committee, Clinical Practice Guidelines on the Prevention and Management of Obesity in Adults and Children, 2011-2012. Chair, Research Advisory Committee, National Breast and Ovarian Cancer Research Centre, 2008-2010. Member, Pharmaceutical Benefits Advisory Committee, Department of Health and Ageing, 2007-2010; Member, Economics Sub-Committee, 2006-2010. Chair, Working Group on Assisted Reproductive Technology, NSW Department of Health, 2000 and Chair, Statewide Confidentiality and Ethics Committee, 1996-1998. Member, NSW Special Committee Investigating Deaths Associated with Surgery, 1994-1995; Member, NSW Special Committee Investigating Deaths Under Anaesthesia, 1992-1995; Member, Editorial Panel, NSW Public Health Bulletin, 1990-1998; Medical Secretary, NSW Maternal and Perinatal Committee, 1990-1994. Chair, National Health Priorities Performance Advisory Group, National Priorities Action Council, 2001-2003; Member, Management Committee, Perinatal Statistics Unit, 1993-1995. Member, Working Party on National Performance Indicators of Aboriginal and Torres Strait Islander Health, 1997-1998 (nominee of the Heads of Aboriginal Health Units of all States and Territories). Member, Australian Health Ministers’ Advisory Council Working Group on Confidentiality of Health Information, 1997-1998. Chair, Human Research Ethics Committee, South Western Sydney Area Health Service, (Western Zone), 2007-2008. Member, National Health and Medical Research Council and Member, Public Health Committee, 1989-1990. 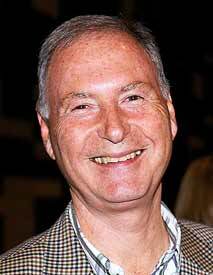 Michael Frommer is “tickled” to be nominated but very embarrassed by any publicity surrounding his award. “I feel fortunate to have been involved over many years. It is hard to see myself as having a major role as there are other people who deserve most of the accolades” he said. For significant service to medicine, particularly in the fields of urology and fertility. Visiting Urologist / Andrologist, IVF Australia, current; Founding Member. 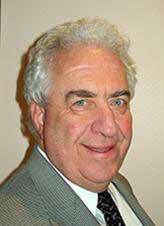 President, Board of Management, Wolper Jewish Hospital, since 2009; Vice-President, 1997-2007; Member, Wolper Jewish Hospital Health Foundation, since 2014; Chairman, Medical Executive Committee, 1994-2003; Member, 1985-2007. Honorary Medical Officer and Visiting Urologist, St Vincent’s Hospital, 1978-2008; Head, Department of Urology, 1995-2003; Compiling history of the Urology Department, current; Member, Urology Department, current. Member, Scientific Advisory Committee, St Vincent’s Foundation, 2001-2012. Visiting Urologist, Royal Hospital for Women, 1976-2007; Founding Member, Infertility Clinic, 1970. Registrar in Urology, Prince Henry Hospital, 1974-2007. President, Urological Society of Australasia (now the Urological Society of Australia and New Zealand), 1997; Vice-President, 1996; Honorary Secretary, 1984-1987; Executive Member, 1982-1988; Secretary, New South Wales Section, 1980-1981; Co-Founder, Bruce Pearson Fellowship, Australian Urological Foundation, mid 1990s; Chairman, Scientific Advisory Committee. Chairman and Secretary-General, 23rd Congress, Societe Internationale d’Urologie, Sydney, 1994; Member, Board of Chairmen, 1994-1995. Foundation Member, Fertility Society of Australia. 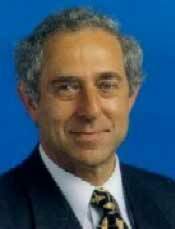 Co-Founder, Australian Jewish Medical Federation, 1985; President, Fellowship of Jewish Doctors (New South Wales), 1985. Fellow, Royal Australasian College of Surgeons, 1971. Member, Australian Medical Association, since 1988, 1975-1985, and 1970-1973. Past Member, Clinical Oncology Society of Australia. Past Member, Australian Association of Surgeons. Volunteer and Fundraiser, United Israel Appeal, more than 20 years. Member, The Central Synagogue, for many years. Supporter, Museum of Contemporary Art, for many years. Supporter, Bundanoon Arts Trust, for many years. Member, Kangaroo Valley Golf Club, since early 2000s. 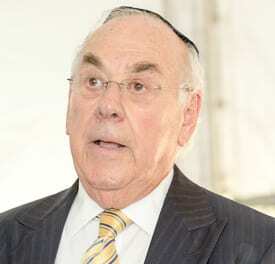 A former chairman of surgery at St Vincent’s Hospital in Sydney, Dr David Golovsky told J-Wire: “One of the most important endeavours for me has been my involvement with the Wolper Jewish Hospital. It has been personally the most important thing I have done.” David Golovsky has also been instrumental in helping Russian doctors who have immigrated to Australia. For significant service to neurological medicine as a physician, teacher and advocate. Visiting Medical Officer in Neurology, Department of Neurology, Royal North Shore Hospital, since 1979. Senior Lecturer in Neurology, Faculty of Medicine, University of Sydney, ‘many years’. Founding Member, Movement Disorder Society of Australia, 1988; has held a range of positions for the Foundation since 1988. Fellow, Royal Australasian College of Physicians, since 1977. Lecturer and Advisor, Parkinson’s Disease Association. Neurologist in Private Practice, St Leonards, Sydney, since 1979. Visiting Medical Officer in Neurology, Concord Hospital, 1974-1979. For significant service to medicine in the field of colorectal surgery as a clinician and researcher, and to professional organisations. Head, Department of Colorectal Surgery, St George Hospital, since 1999; Director Undergraduate Training, many years; Director, Colorectal Fellow Training, many years; Director Postgraduate Registrar Training, 2000-2009; Resident Medical Officer, since 1979; helped establish the Anorectal Physiology Service. Chairman, Department of Surgery, St George Private Hospital, 1996-2002. Conjoint Professor, St George and Sutherland Clinical School, University of New South Wales, over 20 years. Clinical Researcher and Author, over 90 articles and publications for various leading medical publications, many years ongoing. Research Fellow, St Mark’s Hospital London, 1985-1987. Visiting Professor, Royal Society of Medicine London, 1998. Surgeon, Sydney Colorectal Associates, ongoing. Fellow, Royal Australasian College of Surgeons, current; Council Member, Section of Colon and Rectal Surgery, 1993-1999. Foundation Member, Colorectal Surgical Society of Australia and New Zealand, 1988; Councillor, 1997-2006; Inaugural Member, Research Committee. Chairman, Sydney Colorectal Surgical Society, 1997-1999; Vice-Chairman, 1995-1997; Council Member, 1993-1995. Member, Surgical Research Society of Australasia, current; Editor, Colorectal Section, ‘Australian and New Zealand Journal of Surgery’, many years. Member, European Association of Coloproctology, many years. 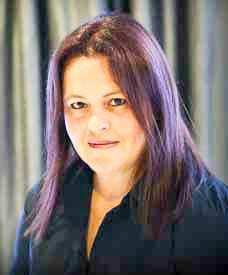 Board Member, Colorectal Foundation (now the Bowel Cancer Foundation), 2002-2010. Member, National Assessor’s Panel for Cancer Research grants, Cancer Council Victoria, several years. For significant service to community health as a supporter and advocate for survivors of child abuse. President, Adults Surviving Child Abuse (ASCA), since 2012; Chairman, 2003-2005, 2007-2010 and since 2013. Co-Author, ASCA Practice Guidelines for Treatment of Complex Trauma and Trauma Informed Care and Service Delivery. Board Member, Mental Health Coordinating Council New South Wales, since 2009; Director, 2010-2012; Mental Health Advocate. Former Member, Reframing Responses reference group, Trauma-informed Care reference group; Australian Centre for Study of Sexual Assault reference group. ASCA Representative, Mental Health Australia, Families Australia, Health Policy Advisory Group NCOSS, Coalition of Organisations Committed to the Safety and Wellbeing of Australia’s Children. Ambassador, National Families Week, 2009-2014. Member, International Society for Study of Trauma and Dissociation. Foundation Member, National Trauma Informed Care and Practice Advisory Group. Member, Advisory Panel, BATYR, (a social enterprise that focuses on preventative education in the area of young people’s mental health), 2012-2013. Member, Advisory Panel, TZEDEK, (a support and advocacy group for Jewish victims/survivors of child sexual abuse), since 2013. Member, Community Advisory Council, New South Wales Mental Health Commission, since 2013. Dr. Catherine Kezelman told J-Wire that while was nice to have personal recognition for dedication and work on something she passionately believes in, there is still much to be done. She said: “For adult survivors of child sexual abuse, having it talked about and acknowledged is very important. For victims, it is great to see how different things are today from the past but there is still a long way to go” she said. Kezelman believes that society generally is still uncomfortable about the subject and to get people to accept allegations rather than dismissing or ignoring them is a hurdle. However all allegations need to be given due process. Over 2000 Australians have provided testimonies in private sessions to the Royal Commission into Institutional Responses to Child Sexual Abuse. “It has happened and will continue to happen but we need to protect and support the most vulnerable” she added. The forthcoming Royal Commission into the Melbourne Yeshiva should be of interest to the Jewish community. However child abuse impacts all communities and giving protection to the abusers is something that needs to change according to Kezelman. “It is important for a victim to have the trauma recognised and to be listened to and it is difficult for a child to be believed, especially if the abuser is a family member. “As a community we need to listen and understand, so that children know there are adults who will listen and help them” said Kezelman. For significant service to education in the field of clinical neuropsychology as an academic, researcher and clinician. Professor and Director of Australia’s first professional program in Clinical Neuropsychology, University of Melbourne, since 1988. Member, Editorial Board, Epilepsia, 2010-2011 and 2011-2012. Member, Editorial Board, Neuropsychoanlaysis: Neuroscience Board, since inception of the Journal. Director, Clinical Neuropsychology, Austin Health Melbourne, since 2004. Honorary Professorial Fellow, Florey Institute of Neuroscience and Mental Health, current; Senior Neuropsychological Consultant, Comprehensive Epilepsy Program, Austin Health. Served on the Neuropsychology Taskforce, International League Against Epilepsy, 2001-2010. Research includes the impact of epilepsy on memory and early detections of dementia with some 2400 citations. Senior Member, Epilepsy Research Institute, Melbourne Brain Centre. External Reviewer, Vice-Chancellors Neuropsychology Review Committee, University of Cape Town, 2006. For service to the broadcast media industry, and to the community. Presenter/Writer, Creative Development Unit, Network Ten, since 2012; Guest Television Appearance, Neighbours, Network Ten, 2007; Television Reporting Team, Simon Townsend’s Wonder World, 1980s. Reporter, Nine Network, Mornings with Kerri-Anne, 2008 – 2011. 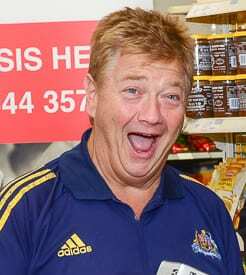 Television Presenter, Seven Network, Saturday Morning Live, 1988 – 1989; Reporter, Sunrise, circa 2007; Have a Go and Late Night with Jono and Dano. Radio Presenter, Australian Radio Network, 1990 – 2011. Voice over, Australian Radio Network, My Generation, 2004 – 2010. Radio Presenter, FM Sydney and Melbourne, The Jono and Dano Show, 2009. Radio Presenter, 2MMM FM Radio, 1984 – 1988. Writer/Producer, Radio 2WS, since 1978. 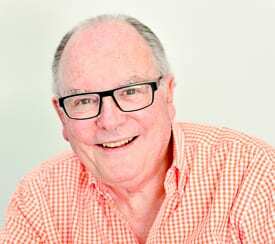 Radio Presenter, Triple J, Off the Record, with Ian ‘Dano’ Rogerson, several years. Radio Presenter, Virgin Radio, United Kingdom, 1993 – 1998. Radio Presenter, Heart 106.2, 1998-2005. Radio Presenter, BBC London 94.9, 2005-2006. Guest Appearances, various British television programs, 1990 – 1996. Narrator, Born Lucky Game Show, Stone Stanley Entertainment, United States of America, 1992 – 1993. Narrator, Koala Brothers, a children’s animation program for ABC/BBC television. Involved in community environmental projects, Ku-Ring-Gai Municipal Council’s Residential Strategy, e.g., preservation of Blue Gum Forest, current. Supporter, Radio for the Print Handicapped, circa 1990s and since 2013. Supporter, The School for the Deaf and Blind, St Edmunds School. Spark of Genius, Schizophrenia Research Institute, since 2011. 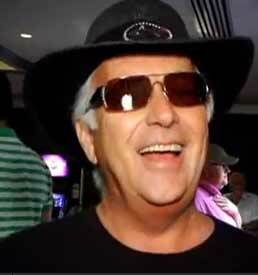 Presenter/ Master of Ceremonies, Variety Clubs Australia, 1982 – 2010. Ambassador, Nordoff-Robbins Music Therapy Australia, since 2008; Supporter, Nordoff-Robbins Music Therapy United Kingdom, prior to 2008. Supporter, Wayside Chapel and Life Education Centre, since the 1980s. Ambassador, Australia Day Council, 5 times since 2005. Member, The Lowe Syndrome, United Kingdom, current. Supporter of the Heart Foundation (Australia and United Kingdom); the National Trust (Australia and United Kingdom); National Society for the Prevention of Cruelty to Children (United Kingdom); and the Princes Trust (United Kingdom). For service to the community through youth and heritage organisations, and to the law. Night Volunteer Coordinator, St Kilda Legal Service, current; Volunteer Lawyer, weekly, since 1995; Member St Kilda Legal Service Cooperative Ltd of Australia (Victoria), 1999-2005. Councillor, National Trust Victoria, late 1990s-mid 2000s; Past Member, Properties Advisory Committee; Past Member, Business Advisory Committee; Chair, Labassa Property, Caulfield, 1990-2004 years and Member, Labassa Management Committee, 1987-2004; Trust Member, for more than 30 years. since 1980; State Council Member, since 1991; Member, Editorial Committee, Australian Scout Magazine, current; Assistant Branch Commissioner, Publications, current; Assistant District Commissioner, Sandridge, 1974-1991; Adult Leader, since 1960. Recipient, Silver Kangaroo, 2013; Recipient, 50 Year Leader Long Service Award, 2010; Recipient, Silver Emu, 2001; Recipient, Silver Acorn, 1993; Recipient, Medal of Merit, 1978. Administrative Council Member, since 2011; Chair, Membership Committee, current; Member, since 1966. For service to women, and to the Jewish community. National Board and Executive Member, National Council of Jewish Women of Australia, (NCJWA), since 1988; Chairperson, Nominations and Elections, since 2003; Resolutions, 1988-2003, and Constitution portfolios. 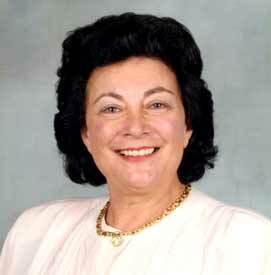 President, National Council of Jewish Women of Australia, Canberra, 1986-1988; Convenor, 1997-1998; Vice-President, 1985; Committee Member, 1984, and since 1989; Steering Group Member, since 2008; Member, since 1984. Board Member, ACT Jewish Community Board of Management, 1986-1988, member, various sub committees and Member, since 1983. Convenor, ACT Jewish Library Sub-Committee, 2007-2012. 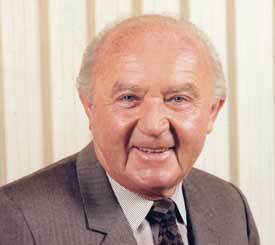 Canberra Correspondent, Australian Jewish News, since 1986. Canberra’s representative and lecturer, Australian Jewish Genealogical Society, 1994-2005. 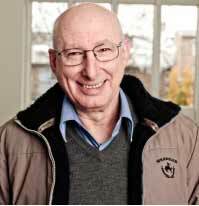 Founding member, Australian Jewish Historical Society (ACT), since 1984; President, since 2008; Vice-President, 1990-2008; Honorary Secretary, 1984-1989; Contributor, ACT Jewish Community’s monthly newsletter. Regional Secretary, ACT Regional Selection Committee, Winston Churchill Memorial Trust, 2007-2014. She added: “There’s a fascinating exhibition on immigration presently on display at the National Archives of Australia in Canberra, which traces the story of migrants like me, a little child who arrived with my parents in 1949 from the former Czechoslovakia. Receiving this award epitomises for me how Australia has been a land of opportunity and a refuge from oppression and hardship”. For service to medical research organisations through fundraising roles. Inaugural Chairman, RCH 1000, Royal Children’s Hospital, since 2001. Co-founder, ‘Gold Patrons’, Jewish National Fund of Victoria 1991-2000 . Principal, Goldhammer and Associates, current. Fellow, Australian Institute of Taxation. Efrem Goldhammer told J-Wire it had been a “privilege to be of service” . “I feel overwhelmed and humble in equal measure” he added. Goldhammer has been fundraising for 25 years and said it had been a pleasure to give back to the community. For service to the community through charitable and service groups. Active Member, World Polio Eradication Program, since 1986. Founding Member, ‘Pennies for Polio’ Polio Eradication Campaign, since 1999. Chair, WA Committee, PolioPlus, over 10 years; Fundraiser, PolioPlus, District 9450 (now District 9455), 2002-2003. Charter Member, Rotary Club of Crawley, since 2010. Special Events Coordinator, Matilda Bay Rotary Club, 1997-2002; Active Member, 1995-2009. Chair, Subiaco Craft Fair for Rotary (through Matilda Bay Rotary Club), 1997-2002. President, Rotary Club of East Perth, 1974; Charter Member, 1969-1995. Ambassador, St John of God Lighthouse Foundation Project; Board Member, Management Committee, 2002-2004; Teen Challenge Foundation. Fundraiser, Bendat Family Comprehensive Cancer Centre, Subiaco. Assisted with major fundraising for a range of Perth charities. Obtained sponsorship for a VIP Private Studio in Perth Arena for the exclusive use of young adults with disabilities and their carers. David Goldstone paid tribute to the people he has worked with in all his public endeavours. He talked about his work with the Rotary Club of Crawley and how the culture of the branch has been changed. Bringing in younger people, mentoring and helping them to achieve their goals is something in which he feels pride. “It is not about me but about a group helping to make dreams come true. I just wanted to make a contribution, to make this world a better place” he said. “Teaching younger people about the ethos of giving back has been most satisfying” said Goldstone. For service to the community, particularly through support for newly arrived immigrants. Immediate Past President, Central Community Centre and Central Shule Chabad; Life Member; President and Founder, 1988-2013. Involved in the fundraising and construction of a new Synagogue and Community Centre since 2001. Past Board Member, Council of Orthodox Synagogues of Victoria, 5 years. Ian Harris told J-Wire he was both humbled and excited to be nominated. He praised the wonderful community efforts and hard work by so many people to get the Central Community Centre and Central Shul to where it is today. Harris told J-Wire he had not told anyone about the honour, but said that “my wife told me”. For service to the media, particularly to children’s television and to publishing. Writer, ‘The Toothbrush Family’ series 2, 65 part sequel, 1998 for Southern Star Productions, 1998. Writer, ‘The Toothbrush Family’– series 1, 1967. Writer, ‘My Book of Ballet Stories’, # 1 and # 2, 1974 and 2000. Creator, ‘Eddie’s Alphabet’ – TV series; Featured in New Zealand, Hong Kong and Singapore, 4 years. Creator, ‘The Maestro’s Company’ – TV series – a 13, half hour series that ran in SBS; ABC TV; USA videos, 1985. Creator, ‘The Pied Piper’, a play for Primary schools, Australian Theatre for Young People. Freelance Writer, Titles include: Certain Women; Homicide; Number 96; Divorce Court; Young Doctors; Mornings with Rosemary; Dr Jekyll & Mr. Hyde; Super Flying Fun Show; Phoenix Five – Science Fiction; Yellow House; Story of the Southern Cross; Story of the Platypus; Pilot; 3 Pilots; Network Ten; (1 hour documentary) The Hawkesbury River, Australia’s Wondrous Waterway; Wilde’s Domain – Telemovie; and Crafty Lady Video. Executive Committee Member, Australian Writers Guild; Life Member, 2010; Member, since 1970s. Executive Committee Member, Producers and Directors Guild of Australia. Executive Committee Member, Australian Children’s Television Foundation. Managing Director, Kidsfield Pty Ltd, since 1974. Member, Lions Club, Mosman/Lane Cove Division, since 2005. Program Writer, Barry Crocker’s Sound of Music Program, approximately 2002. Manager, Daly-Watkins Modelling and Finishing Agency, 1950s. Recipient, American EMMY Award for Outstanding Children’s Entertainment Series, with The Toothbrush Family a regular segment, 1981. Listed in the World Who’s Who of Women, 1992-1993, Eleventh edition. For service to community health through cancer support organisations. Chair, Think Pink Foundation, since 2006. Committee Member, Think Pink Committee, (Cancer Council Victoria), since 2000; Raises funds to support patients and families dealing with breast cancer and raised funds to provide 60 Breast Care Nursing scholarships via Cancer Council Victoria. Founder, The Living Centre, 2010. The Living Centre is a unique, state-of-the-art drop-in facility where the focus is on wellness, rather than illness, and the goal is to support and empower patients and those affected by their diagnosis. Currently this is the only non-hospital based facility of its type, providing assistance, counselling and support for breast cancer patients from any treatment centre, totally free of charge, and at any stage of their journey from diagnosis, through treatment, and into survivorship. Creating a Living Centre in every state in Australia is Irene Hendel’s dream. Irene Hendel told J-Wire she is very excited about her award and what it signifies for the Think Pink Foundation. She hopes it will improve the profile of The Living Centre. She would like raise more funds to help women with breast cancer deal with some of the many non-medical problems that occur. It was when she was undergoing treatment during her second bout with breast cancer 11 years ago that she realised how financially difficult life could be for women with breast cancer. “Women are very vulnerable psychologically at this time and need ongoing support and counselling” said Hendel.. The Centre offers a variety of free services. One workshop, Go Girl, is designed to help women make a career change while the “Supporting Blokes” group gives male partners and carers the opportunity to meet men in the same situation and discuss their mutual problems. The Living Centre is about what happens after medical treatment. Chairman, Admissions Committee, since 2000. Recipient, Sir Moses Montefiore Jewish Home Foundation Award, 2007. Involved in planning of Randwick campus, completed 2006. Convenor, Annual Montefiore Fete, 1989-2005. Member of a range of committees, since 2000. For service to the community through aged care and social welfare organisations. Chairman, B’nai B’rith Victoria, 2010-2012; Executive Member, many years; Lay Leader, 40 years; Chair, Anti-Defamation Commission, 2009-2011; Chair, Parents’ Home Committee, since 2008. Executive Member, Jewish Community Council of Victoria, many years. Bequests Officer, Jewish Care Victoria, since 2008; Admissions Officer, 1999-2008. He told J-Wire his children are not living in Melbourne at the moment and it might be some time before they could raise glass in celebration in the same time zone. For service to literature as an author, historian and scholar. Author, historian and scholar of Judaica for over 40 years. 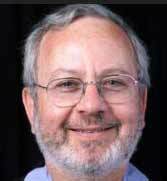 Treasurer, Australian Jewish Historical Society, 1985 to 1996; Member, Editorial Committee, 1990-1998. Vice-President, PEN International, Melbourne, 1986-1987; Executive Committee Member 1983-1985. Former Literary Editor, Australian Jewish News and Menorah. Associate Editor, Outrider, The journal of the Australian Multicultural Literature Association, circa 1984, former Corresponding Editor. Editor, Melbourne Chronicle, 1977-1984 and 1991-1996. Winner of the Alan Marshall Award and the New South Wales Premier’s Literary Award for ethnic writing on three occasions. Prepared 1st Edition of Bibliography of Australasian Judaica 1987; Revised and prepared 2nd Edition 1990, published by the Mandelbaum Trust. Recently revised and prepared the 3rd Edition, published by Hybrid Publishers, 2011. Member, Editorial Board, Geshers: The official journal of The Council of Christians and Jews (Victoria) Inc, 1990-2001. Serge Liberman told J-Wire that he was born in Uzbekistan child of Polish refugees. His parents were stateless and in exile from 1939-1951 when they arrived in Melbourne. He said: “They worked hard to make life secure for me as I forged a medical career while pursuing my many literary interests. I am deeply thrilled to receive the award and view it as endorsement for the large body of writing and editing i have accomplished. It’s a bit like winning something at school or university”. He added: “This is not so much about me, but more about the work I leave behind. The Bibliography of Australasian Judaica (now in its third edition) is something I am very proud of and hope it will be useful for future scholars”. As an editor, he saw himself as a facilitator, aiming to help people publish their work while developing and strengthening Australian Jewish culture. However Serge Liberman is concerned that outlets for aspiring writers and artists to be read and seen has dwindled and it will be harder to get published. For service to medicine, particularly in the field of sexual health. 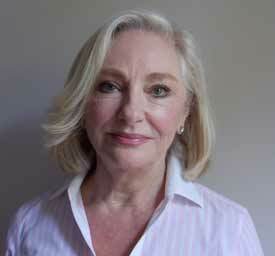 Secretary, Society of Australian Sexologists, 2010-2012; President, 2005-2010; Various executive positions, since 1990; Life member, 2007. President Elect, Asia-Oceania Federation of Sexology, 2012-2014; President, 13th Conference, Brisbane, 2014; Conducted workshop Including Sexuality in Clinical Work, 12th Conference, Japan, 2012; Australian Representative, since 2006. Conference Co-ordinator, Inaugural Australian Sexual Health Alliance Conference, Darwin, 2013. Member, International Society of Sexual Medicine, since 2008. President, 18th World Association for Sexual Health Congress, Sydney, 2007. Sydney Men’s Health, since 2009. Australian Centre for Sexual Health, St Luke’s Hospital, 1994-2003. Senior Vice-President, Zionist Council of Victoria, (ZCV), (formerly the State Zionist Council of Victoria), 15 years, Executive Member, 1972-2010. 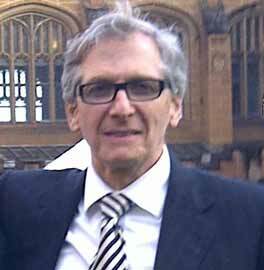 ZCV Delegate to the Jewish Community Council of Victoria, (formerly the Jewish Board of Deputies), since 1973. Member of the Executive of the Jewish Board of Deputies as Chair of the Overseas Jewry Committee, 4 years. National Secretary, Zionist Federation of Australia (ZFA), approx 6 years; Member of Executive, 1974-2012 and since 2014. 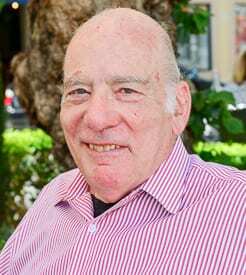 Honorary Treasurer, Executive Council of Australian Jewry (ECAJ), 1992-1995 and 2000-2007; Honorary Life Member of ECAJ, since 2008; Chairman, Overseas Jewry Committee, and now known as the Australian Committee for Soviet Jewry, (part of the ECAJ), 1982-1990. 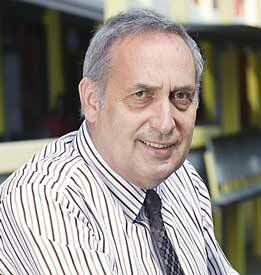 Treasurer, Lamm Jewish Library of Australia Board (formerly Makor Library), 1994-2003. Honorary Treasurer, Australian Reform Zionist Association (ARZA), 2003-2007. Vice-Chair, Australia Arava Partnership Committee, since 2013 and Committee Member, since 1998. Founding Member, Australian Friends of Labour Israel (Victoria), 1974; Vice-Chair, 1976-1997. Member, Australia-Israel Chamber of Commerce Victoria, since 1985. Secretary, Victorian ALF Foreign Affairs Committee, 1976-1980 and Member, 1975-1982. Member, CPA Australia, since 1984. Foundation Member, Institute of Certified Management Accountants, since 1980. Chartered Tax Advisor, Taxation Institute of Australia, since 2012; Fellow, 1994-2013 and Member, 1981-1994. Member, Governance Institute of Australia, since 1989. Recipient, Community Recognition Award, Jewish Community Council of Victoria, 2009. Recipient, Jerusalem Prize, Zionist Council of Victoria and Zionist Federation of Australia and World Zionist Organisation, 2003. For service to the multicultural community of South Australia. Commissioner, South Australian (SA) Multicultural and Ethnic Affairs Commission, since 2000. Board Member, Australia-Israel Chamber of Commerce SA. President, Jewish Community Council SA, since 1995. Vice-President, Executive Council of Australian Jewry. Member, Yachad Scholarship Fund Advisory Board. Board Member, Australia Day Council SA. 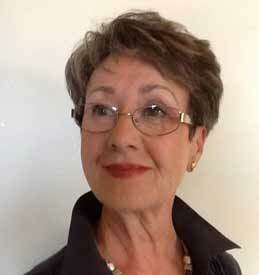 Board Member, Adelaide Symphony Orchestra, 2001-2002; Member of Audit and Finance Committee. Former Board Member, Waste Management Association. Founding Director, Maccabi Victoria Sports Foundation, since 2002. Executive Member, Mount Scopus Memorial College Foundation, 1997-2005. Vice-President, United Israel Appeal Victoria, since 2013; Chairman, 1990-1993; Executive Member, since 1972; Chairman, Young Leadership Group, 1973-1978. Member, Fundraising Committee, Melbourne High School Old Boys Association, 2006-2013; Helped establish fundraising framework, 2006. Board Member, Victorian Multicultural Business Advisory Council, 2004-2008. Board Member, Mental Illness Fellowship of Victoria, 2004-2010. Volunteer, Olympic Games, Winter Olympics Torino, 2006 and Summer Olympics Athens, 2004. Board Member, Arts and Recreation Training Victoria, 1995-1997. Teaching staff, Monash University, since 2005. Teaching staff, Monash College, since 2006. President, Victorian Fitness Industry Association, 1993-1996 and Treasurer, Fitness Australia, 1996-1997. For service to the community through social welfare, religious and charitable organisations. 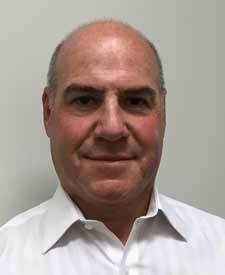 Deputy Chairperson, Jewish Mutual Loans Committee, Jewish Care Victoria, 2004-2014; Member, 1996-2014. 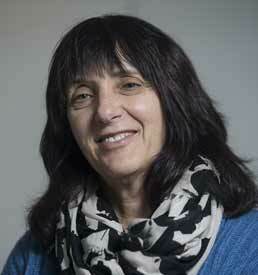 Deputy Chairperson, Melbourne Jewish Aid Society Committee, until 2014; Member, 1996-2014. Board Member, Jewish Community Council of Victoria, 2008; Patron, for 5 years. Founding Board Member, Florence Melton School of Adult Jewish Learning. Member, Past Presidents’ Advisory Group, Temple Beth Israel; President, 1990-1992; Board Member, 1985-1994; Fundraiser, for many years. 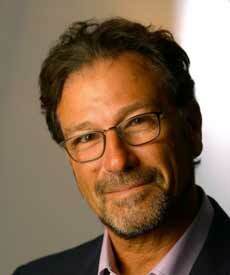 Co-Founder and Trustee, Progressive Jewish Cultural Fund, 1990s-2014. 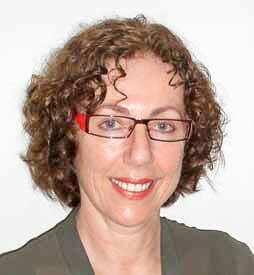 Board Advisor and Patron, Australian Centre for Jewish Civilisation, Monash University, until 2014. 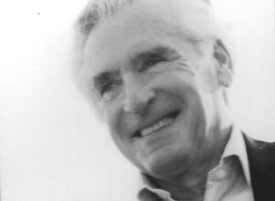 Co-Founder and Administrator, The Benjamin Slome Charitable Foundation and The Slome-Topol Family Charitable Trust, supported a range of charities and organisations. Lorraine Topol passed away in May 2014. J-Wire spoke to her daughter, Sheryl Rosen. “My mother would have been both happy and embarrassed but would have accepted the award graciously. She never wanted recognition and was passionate about helping people to achieve their dreams” said Sheryl Rosen. “I too am honoured and think it is wonderful she has been recognised” said Rosen. 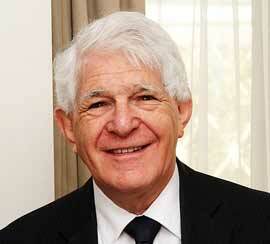 Board Member, Australian Association of Holocaust Survivors and Descendants, since 2011. Board Member, Central Synagogue, since 2012. Company Director, Red Velvet Creations (creating visual anthologies), since 2007. Chief Executive Officer, New South Wales Jewish Board of Deputies, 2002-2004. Honorary Secretary, Executive Council of Australian Jewry, 2001 – 2003. Honorary Secretary, Board of Directors, Moriah College, 1999-2002; Member 1994-2003. Judy Wilkenfeld said that she was “very humbled by being awarded this honour”. For service to community health through support for people with Tourette syndrome. President, Tourette Syndrome Association of Victoria, 1995-1999; Founding Member, since 1990. Represented Australia at the 1991 Tourette Syndrome Association of the USA National Conference in Washington and 1996 National and International Tourette Syndrome Conference. Organised the first Australian Tourette Syndrome Symposium in 1992. Played a major role in arranging numerous public events which exposed noted neurologists and medicos to the public as well as major in-services for schools to enable them to be better prepared for the needs of students with Tourette Syndrome. Agnes Zillner was overwhelmed by the news of her honour. She told J-Wire: “Since the formation of the Tourette Syndrome Association of Victoria over 20 years ago, the general public has become more aware of the disorder . I have been touched by the “incredible faith” colleagues in the Association have in me.” She said that without so many great people in the organisation, the Association would not be in the strong position it is in today. Whilst most of the winners are incredible assets to this community I’m concerned by at least one recipient. She’s continuing a Jewish Community tradition of being nominated for an OAM for predominantly paid work within a Jewish organisation and not a whole lot else that I or anyone I’ve asked is aware. Not that simple, Benzion. To mine it sounds like a few of the WIZO type sorority found themselves on their daily treadmill at “Fitness First”, Double Bay and, in between boredom and giggles cried a “why not !!!’. It was followed by very, very low calories lunch at Cosmo and , after the mandatory couple of Chards the same “why not !!!! !” slightly louder and more determined, followed by busy, busy phone calls, then it got serious with well edited emails – one of them must have a BA, never used – and, bingo or actually DURING a bingo session, this time with explosive screams of ” WE DID IT !!!”. If only I would be accepted as a WIZO local hero……. Privacy concerns??? All the addresses are on the GG’s website anyway! For privacy reasons, I think you should remove Clive (Tony) Anthony Levy’s full address from this post. Thank you for pointing this out. It is not our policy to publish addresses. This has slipped through the cracks. Sorted.